I come from a background of table-top roleplaying games, where the narrative is always open-ended. Nothing is fixed; the story doesn't run on rails, and details can be changed on the fly, in response to unexpected but highly innovative player decisions. The one lesson I took with me from those campaigns is that what you get from a story depends heavily on what you put into it. It was this approach to roleplaying that led to the long-running campaign that eventually inspired Tracy and Laura Hickman, and Margaret Weis, to flesh out the characters that made up the world of Dragonlance, arguably one of the most well-known and successful worlds based on D&D rules. In that regard, I don't think it's fair to describe our characters are "two-dimensional", or "Mary Sues", or whatever else you want to call them. To me, the "muteness" of our characters — the way they are presented to us in-game — represents an opportunity for us to fill in the blanks as we see fit. We are limited only by our imagination. 1. 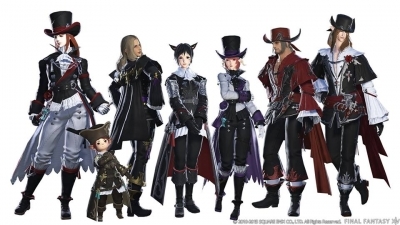 Do the Scions care about the WoL, or are they merely making use of him? I think we've been shown ample evidence that the Scions care. There is Y'shtola's relief, for example, in seeing the WoL safe and sound, after her return from the Lifestream. 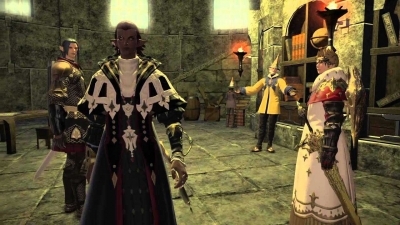 There's also Alphinaud's flustered guilt, when Estinien pointed out he was asking the WoL to risk his life in a battle that the young elezen himself could not take part in. There is the sense, no doubt, that the Scions do rely heavily on their champion. Perhaps too heavily. But there's also a sense that they don't do this lightly. 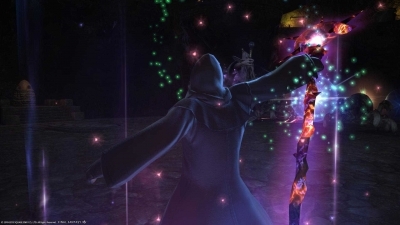 Alphinaud, rightly or wrongly, formed the Crystal Braves because he believed that it was one way to lighten the burden on the Scions, and by extension, the WoL. 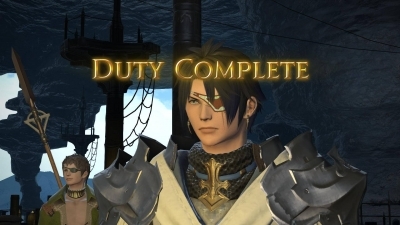 And the Scions put their own lives on the line in Ul'dah, because they implicitly understood that the only thing that mattered was for the WoL to make it out of the trap in one piece. To me, it's a fair exchange. Some players may choose, of course, to interpret events in a more cynical light, believing instead that the Scions are being selfish or self-serving. That's perfectly fine, because the facts can be subjective. Depending on what each player brings to the story, the "truth" can take on different shapes. 2. 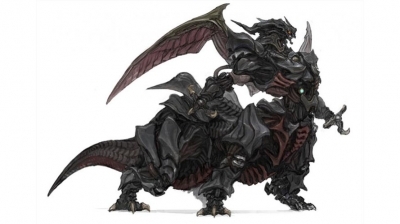 What are Hydaelyn's actual intentions for the WoL? This is the tougher, somewhat more philosophical question. One might as well ask what God intends for humanity. Certain things seem clear enough: the WoL is meant to be the light that shines in the darkness, a bulwark against the forces that seek to subvert and destroy the enlightened races. But that answers only the "what". It tells us nothing about the "why". And the truth is, no one among the enlightened races knows the reason behind Hydaelyn's mysterious gifts. 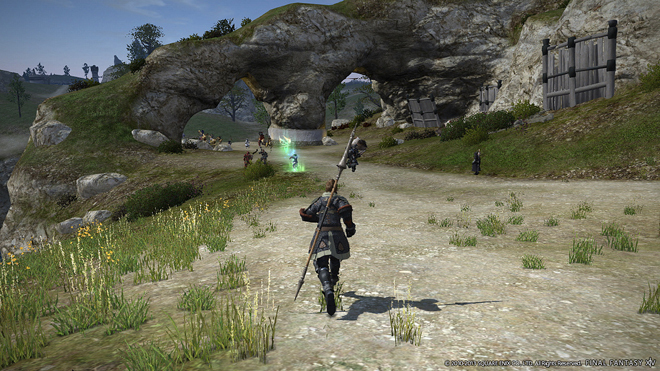 The Ascians appear to know, but they're not sharing (at least, not yet, and not with everyone). So basically, your guess is as good as mine. Some players find this frustrating. I, on the other hand, find it entirely plausible. Because, after all, what mere mortal can claim to know the mind of God? In the absence of certainly, faith is required. 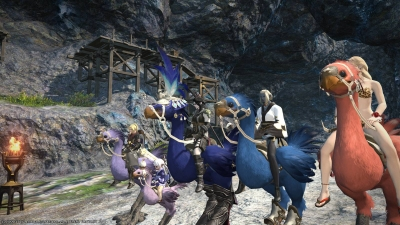 Our characters don't know what Hydaelyn intends. They aren't even completely sure if the Twelve exist. But they choose to believe in them, because everything they've seen so far suggests that they represent the greater good. But faith also includes doubt. It means you choose to carry on believing, even when there is no conclusive evidence to support your beliefs. 3. So, what does any of this mean for our characters, the Warriors of Light? This is where I return to my original advice: You're limited only by your imagination. What's your character's backstory? Based on that, what are the plausible reasons for his or her decisions to go along with the Scions' plans? What are the doubts that he or she are dealing with? How is that expressed through your gameplay? These are the questions that guide how I approach the game. Naturally, I'm not at all claiming that this is the only way to play. It's merely how I choose to immerse myself in a fictional universe. And the more I put into it, the more I get back. But there's something more. The game universe itself needs to provide sufficient material that resonates with me on some level in order to make this process work. I've spent the past month playing Fallout 4, which is a fabulous game in its own right, rich with its own lore. I was swept along for a long while, until it suddenly struck me one day that I don't care any more what happened within that game world. The wide-open nature of Fallout 4 also meant that it was a struggle to maintain a consistent theme the deeper I progressed into its story. And, in the end, I gave up. The story was going in so many inconsistent directions that I simply didn't care any more how it'd end. And so I find myself back in FFXIV. It'll take some practice before I'm up to speed again with my rotations. But on a larger, meta level, it's like I never left. Because the mystery behind Hydaelyn and Zodiark, light and darkness, and balance still resonates with me through my character. When I started Lyland's journey, it was with a few specific questions in mind: What makes an ideal society? Is it possible to break the cycle of violence, and achieve lasting harmony? Happily enough, FFXIV has been perfectly consistent in this regard, so Lyland's journey continues to run smoothly for me. From this perspective, the apparent gaps in the story to date aren't gaps at all, but merely questions that await Answers. I'm all ears. Pre-mades vs solo ques can cause the Duty Finder to have an aneurysm. It depends on the circumstances, but a lot of small and stupid things can cause the system to get mucked up. Spirits is fine as MT too, since it's off Global Cool Down and doesn't have a cost associated with use. It's basically free DPS with the potential to interrupt a cast on a 30(?) second CD.